Eye bases and primers were not too important few years ago as you can simply make work with any foundation or powder but since the cut crease trend have become popular, these products got noticed a lot. Even though i still opt for high coverage concealer for cut crease but a good primer or base is must to enhance the shades and make them stand out. 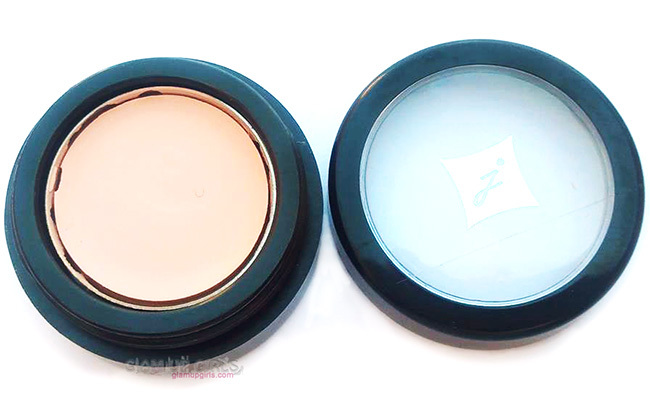 Jordana Eye Primer and Eye Base is one of the most budget friendly option which is around for many years. Let me tell you how it can be used and if it is effective or not. Your future is so bright; you’ll need to wear shades—of pretty eyeshadow! Smooth Eye Primer / Base onto lids as a prep-step to create a force field that will make any shadow and liner—from cream to powder—stick! The multi-purpose beauty must-have is also a highlighter that brightens up the eyes! This primer plus base comes in cute little black jar with screw cap having transparent lid to see the product through. 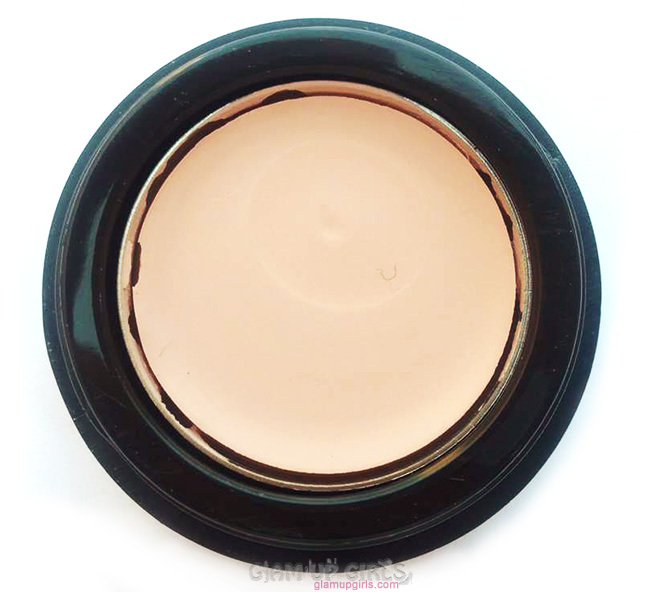 The product shade looks light mauve in the pan but after application and blending it doesn't look too pink or mauve. It kind of look neutral beige on skin which is a perfect shade when you want a good solid base for eyeshadows. It is very thick textured and is best applied with fingers which help to melt it a little during application. You will get a little difficult time if you decided to apply it with brush, specially in winters. It is kind of solid thing in pan. It is highly pigmented and if you want to hide the veins or pigmented lids before applying makeup, it is the best product to cover them. I think the light colored shade help you better hide the imperfection on lids compared to pure beige or cream colors as they might turn little ashy on dark circles. Once blended, it doesn't turn into matte formula and have a little sticky finish. You can easily dust any beige color powder to create a base color and further apply other eyeshadows. These sticky finish is perfect when you want to create cut crease look and need a sticky base to make pop your shimmery or glitter shade. This sticky finish also doesn't feel heavy or turns oily, in fact it is a good base if you very oily lids as it doesn't crease easily and let the shadows last for very long. 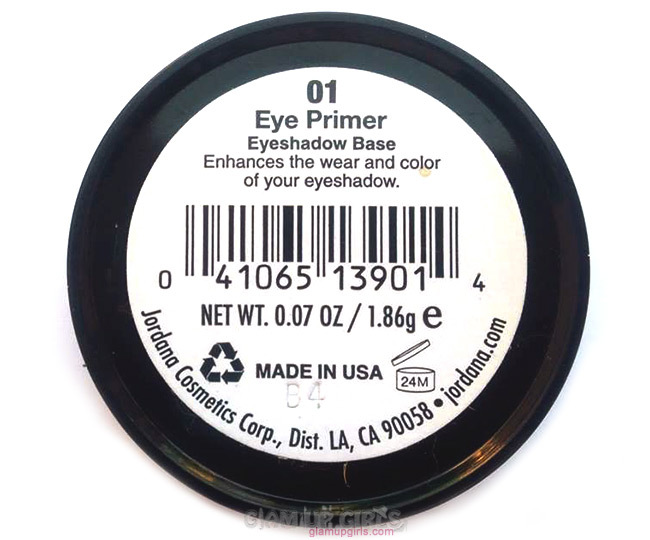 It is very long lasting and help your eye makeup last very long then usual. The texture though is thick but once it is melted on fingers it applies smoothly without tugging. The shades which doesn't show up easily on lids, look more vibrant and pigmented on this base. If you decided to use it for cut crease, then apply your shimmery or glittery shade with finger and the result will be amazing. Overall i love this 2 in one product which is highly pigmented, enhance dull eyeshadows, help shades apply more easily and make them last very look. The formula is neither drying or not moisturizing but keep your oily lids from creasing.